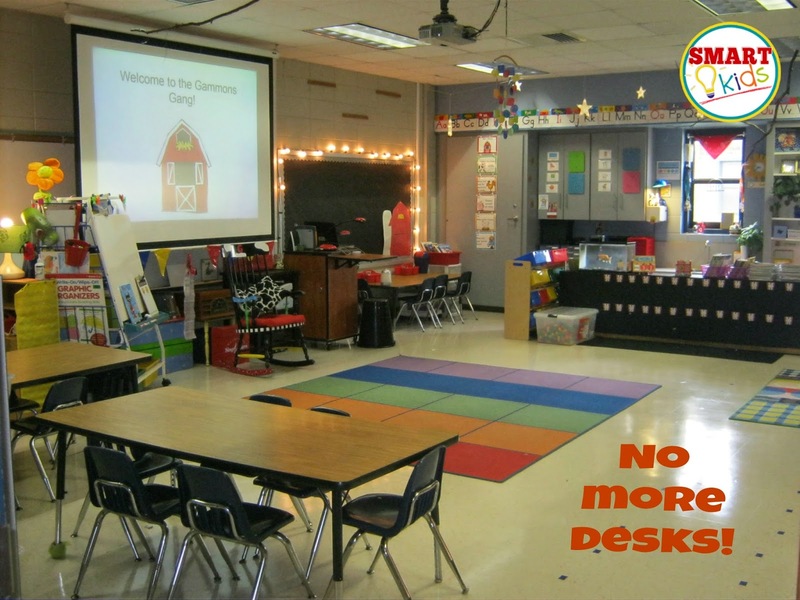 Smart Kids: Bright Ideas: Floor Desks Replace Furniture! Bright Ideas: Floor Desks Replace Furniture! A couple of years ago I had a beautifully decorated room and...28 KIDS! While complaining to my assistant principal that we didn't even have enough room for centers, she said to me, "Take out some furniture." SO I DID. Yes friends, the next Monday pieces of furniture—all of my tables—were in the hall. So here's my bright idea for this month: Floor desks! Don't get the idea that just because we don't have desks that it's all wild and crazy up in room 301. No ma'am. We've got structure. Here's how it works. We keep our boxes in our cubbies. 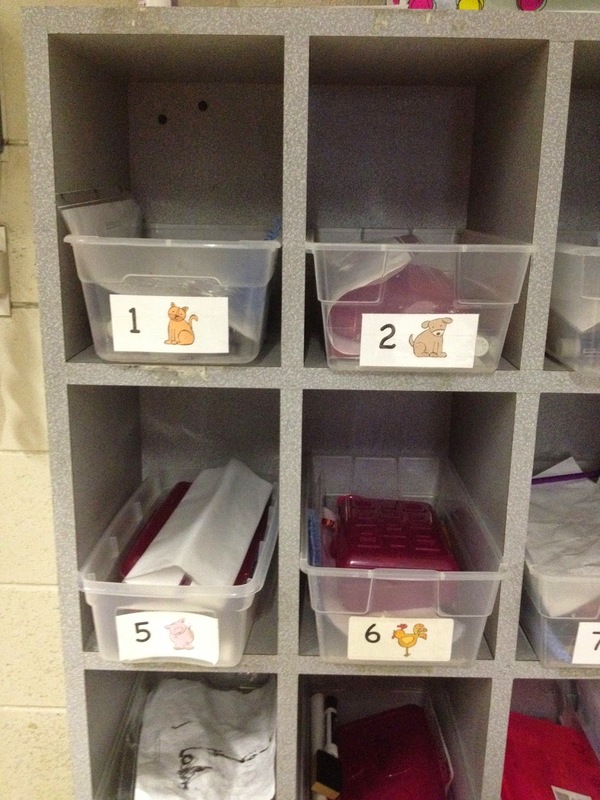 Each box holds the child's crayon box, pencils, dry-erase marker, eraser, scissors and glue. 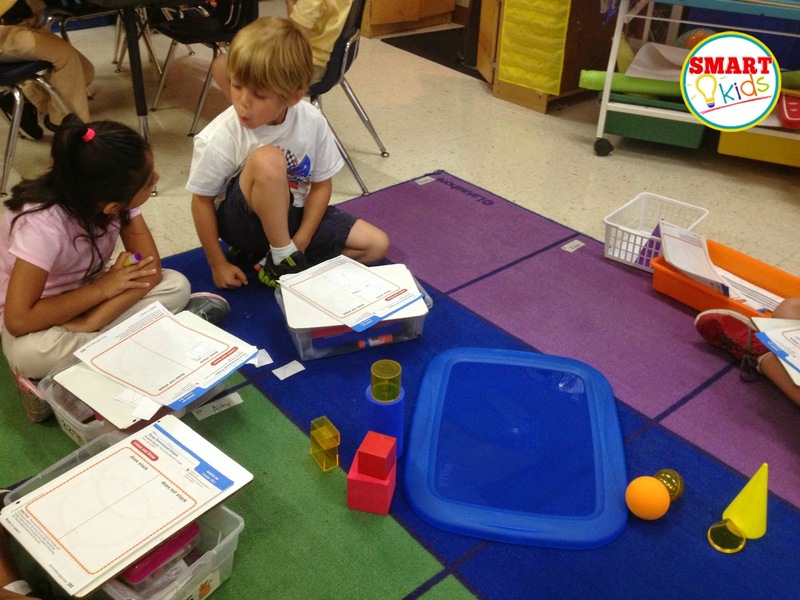 When it's time to work, a child gets her box and white board to use as her desktop. In some of the pictures you'll see smaller whiteboards. Lucky me, this year a mom bought a new class set of these 11 x 16 boards. She got them at a great price from The Markerboard People (www.dryerase.com). 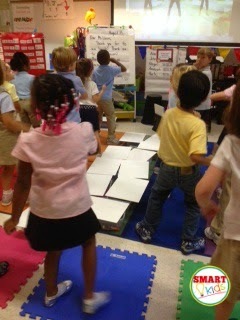 When we are ready to take a brain break, the kids just push their desks to the side. Here's what my room looked like with all of the furniture and also how it looks this year. You can see we do still have some tables for centers. Does that make you feel better? So if you and your kids are feeling crowded, my bright idea comes from my principal. "TAKE OUT THE FURNITURE!" If you enjoyed this bright idea, please follow my blog, Facebook or Instagram. 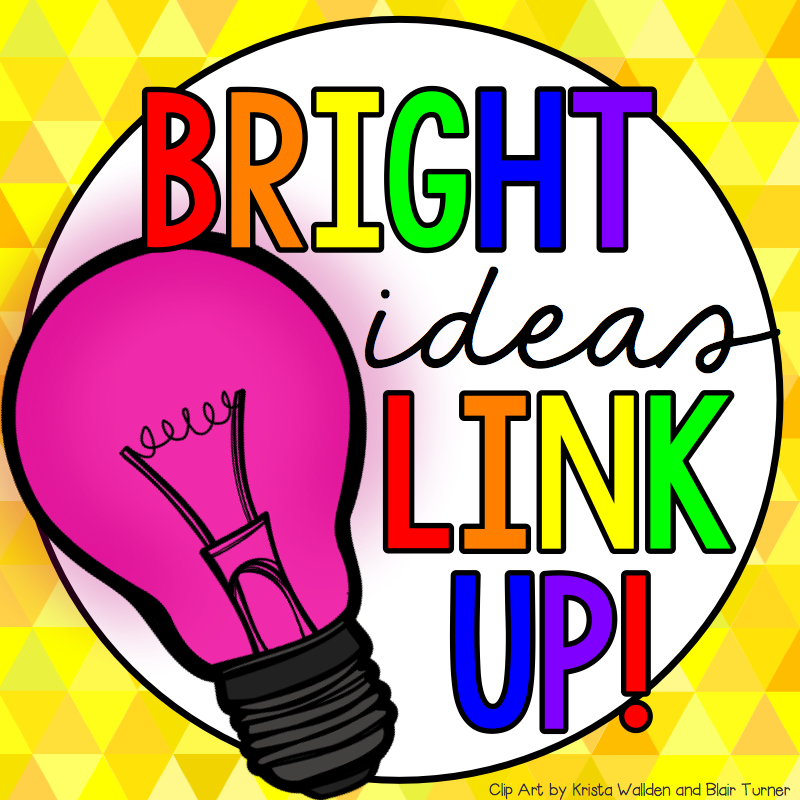 For more bright ideas from 50+ bloggers, browse through the link up below! Wow, Jayne - that is brave!! I really need to free up some space, and this might just be the ticket. We'll see if I'm brave enough to do it! haha :) Thanks for sharing. I have always wanted to try this!!! 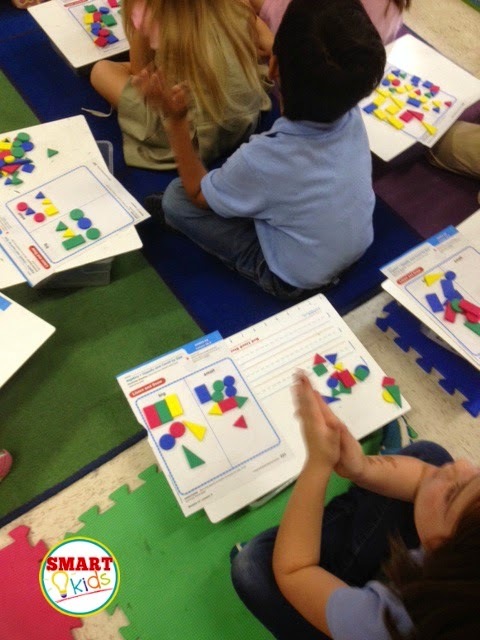 Love the foam squares idea because it gives them a space that is movable! I have wanted to do this for years, but we don't have any storage room in our building, so we have to keep our furniture! Thanks so much for sharing! I have been considering doing this as my classroom is probably half the size of yours and there is no room for anything. We trip over tables, chairs and have to move easels to get to things, and we have to walk all the way around the room to line up since tables are in the way. I have small trapezoid tables that only a couple can sit at so I have to bring in many tables. Problem is we are departmentalized so I have another class come to my room for an hour so I'm not sure how to accommodate them with supplies. I'm also not sure how the other teachers and principal will feel about it as we are to teach the students to sit up straight in their chair to write and also sitting in a chair will get them ready for first grade. 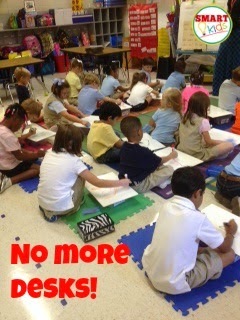 So I'm getting ready for a new school year and I am going to try the alternative seating. I'm moving to a different room which is not much bigger than where I was last year. I have a 30 seat rug that takes up practically the whole room so there is limited space for tables. 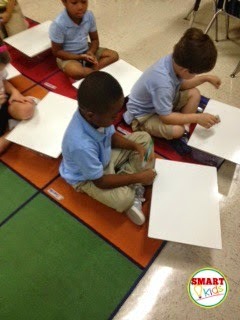 My one concern is that we do Fundations and it teaches them to sit in proper writing position for handwriting. I don't mind them sitting on their floor to write, but for accountability for the program, I have to have them sit in seats. But I won't have enough seats at tables for all 22 kids. We'll work it out, I guess. Thank you for the ideas! I'll let you know how things turn out during the year with the new set-up. Something else I thought of :)... do you do art projects on the floor? I am thinking about the glue and the mess that comes with art. We also have snack time and am wondering about the food mess that some kids always make. This is AWESOME! I'm really thinking of going deskless. I LOVE how you have all of their supplies in a bin. 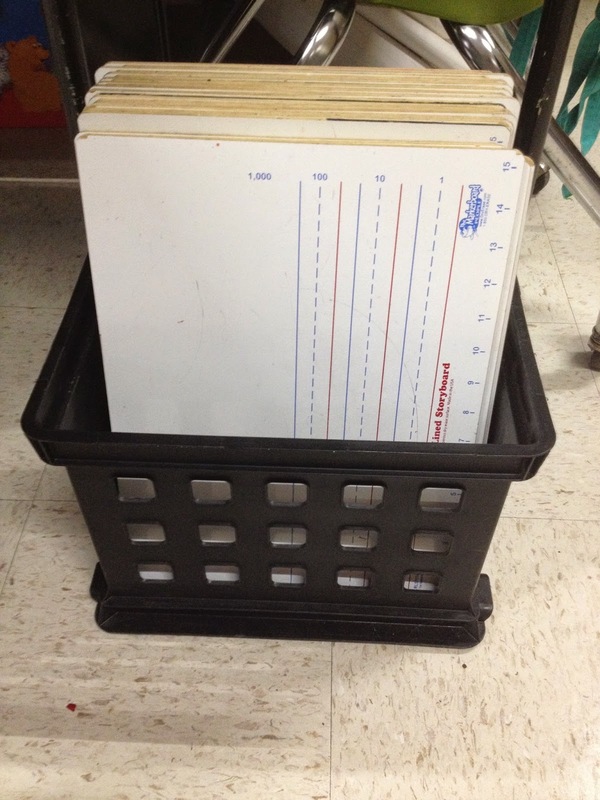 My firsties have other things in their desks - folders, journals, and 2 binders. What would you suggest I do with those items?